The week of the 11th to 15th of June, took place in Frankfurt am Main another edition of Achema. With a participation of more than 3.800 exhibitors, divided in 11 different pavilions and a total of 165.000 visitors from more than 100 different countries. Achema has become one of the most important pharmaceutical fairs in the world. Biotechnology, logistics and flexibility in production were the cornerstones of an edition that looks to the future with ambition and optimism and that brought together more than 30,000 professionals in the sector. 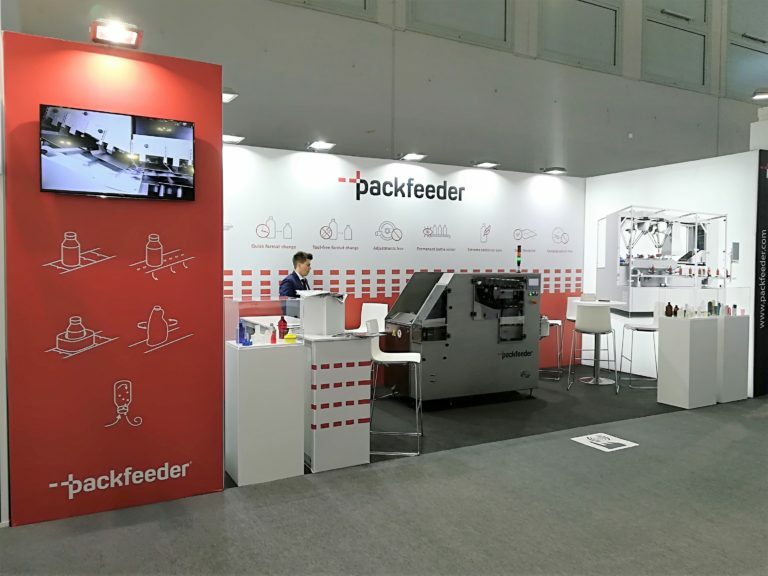 Packfeeder, once again, was present introducing our bottle unscrambler for pharma, as well as future innovations that will come during this year. Also from the Packfeeder team, we want to thank all the assistants, agents, collaborators and partners that have made this success possible. See you all at Achema 2021!